Catch a train to Kings Cross Station. Walk south in Victoria Street and veer left into Darlinghurst Road. Continue in Darlinghurst Road across the overpass and veer left into Victoria Street. 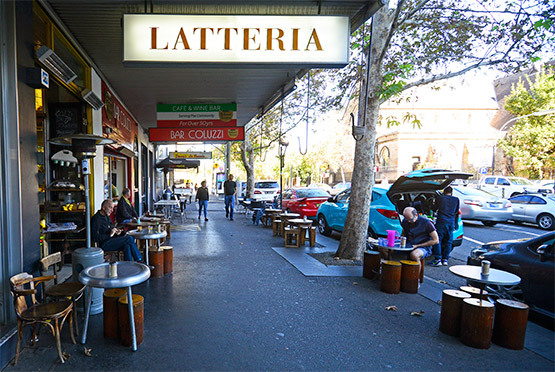 Cafes and restaurants pictured here are in the first 200 metres of Victoria Street. 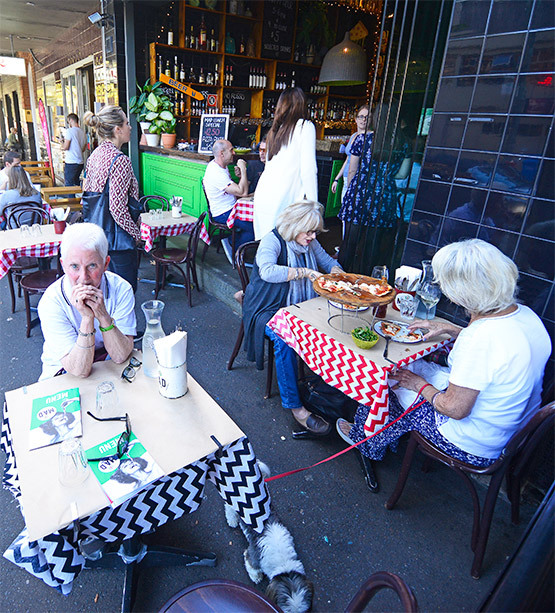 Victoria Street in Darlinghurst takes the cake when it comes to having lunch on the sidewalk. 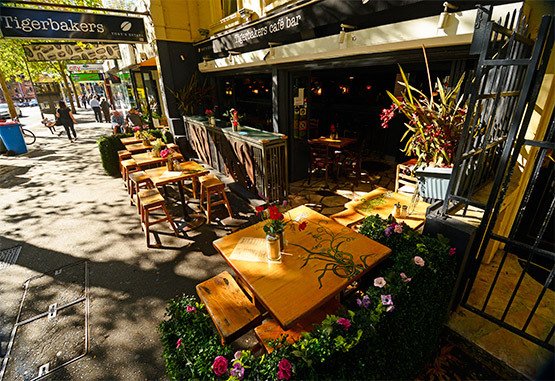 The Williams Street end of the street is home to a row of small quaint cafes where the footpath is potted with tables and chairs. 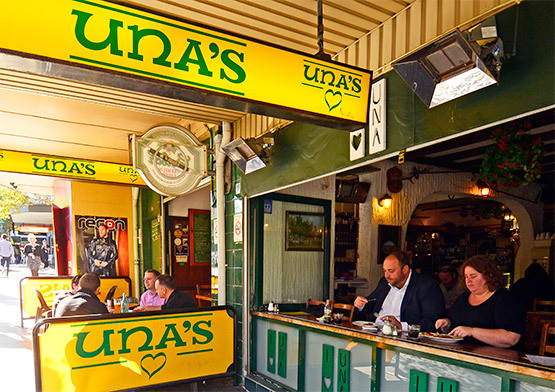 This part of Darlinghurst juts onto Kings Cross and is popular with people from all walks of life. 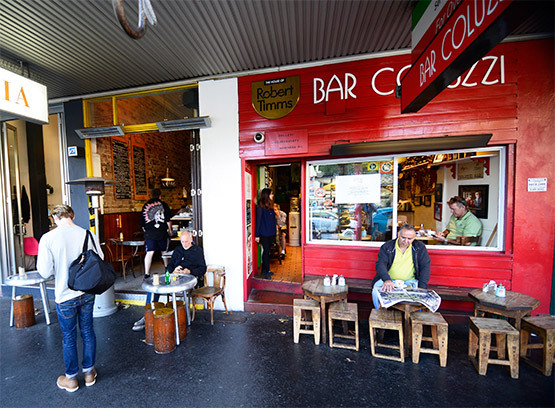 Backpackers rub shoulders with more affluent types from nearby Paddington. 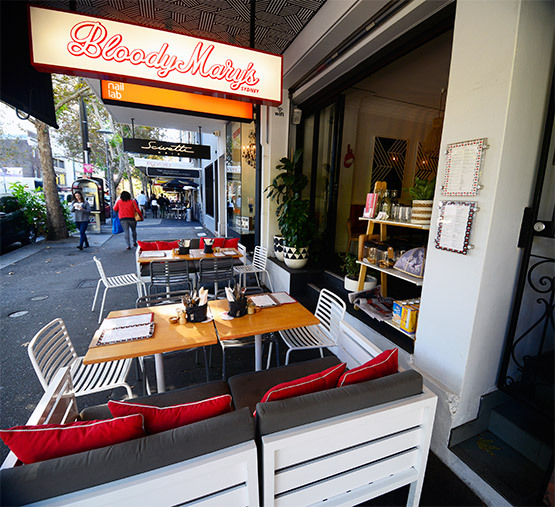 Easy to see why: the cafes ooze character and the food is good. Most of the fare is light food, but it's yummy. The area gets busy around the middle of the day as office workers scurry into the cafes.